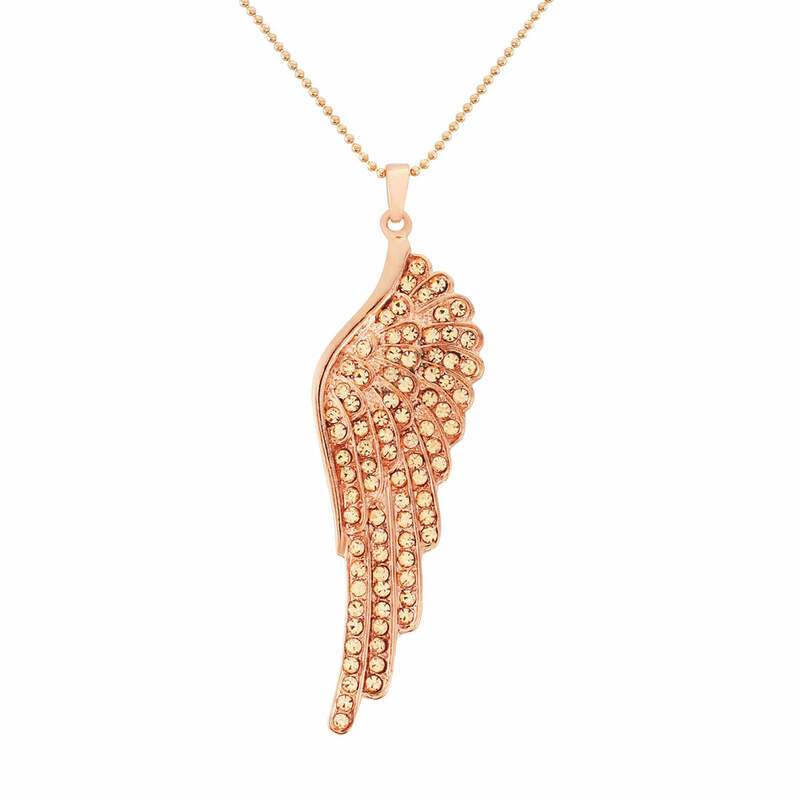 Fans of high fashion will love this rose gold angel wing crystal pendant with its divine shimmering soft peach crystals. The perfect necklace for an array of occasions. Unleash your inner angel with our Golden Rose Angel Necklace and embrace the fashion world’s love affair with romantic rose gold hues. Adorned with the softest light peach crystals, this beautiful angel wing necklace will take your look from day to evening with effortless style. Teamed with a crisp white shirt and jeans, layered over a sweater dress or to add a touch of on-trend style to a chic black dress, this pretty pendant is sure to spend very little time in your jewellery box. If you’re searching for the perfect gift for someone who has been your real-life guardian angel, what could be more meaningful? Whether your bridesmaid has been your rock through the stress of planning a wedding, your girlfriend has helped through a tough time or you just want to say a much earned thank you to your Mum for always being there, Golden Rose Angel Necklace will be a present they will treasure… not least because it’s totally gorgeous.